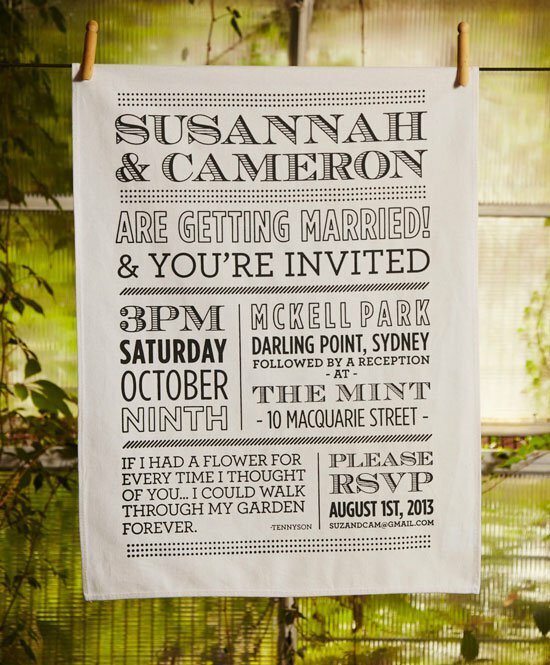 Print your wedding invitation on a tea towel. 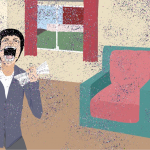 Thereby informing your guests of your special day, and giving them a gift for everyday use in the same time. Such a clever idea. 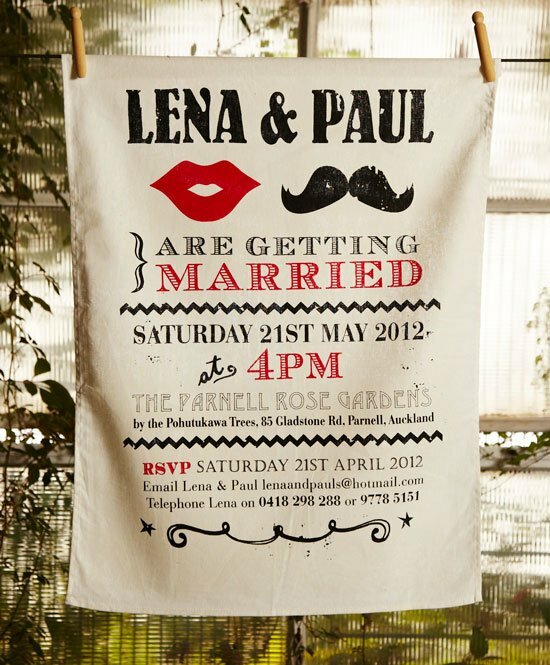 It’s Save the date + save the environment = Invitation Tea Towels. 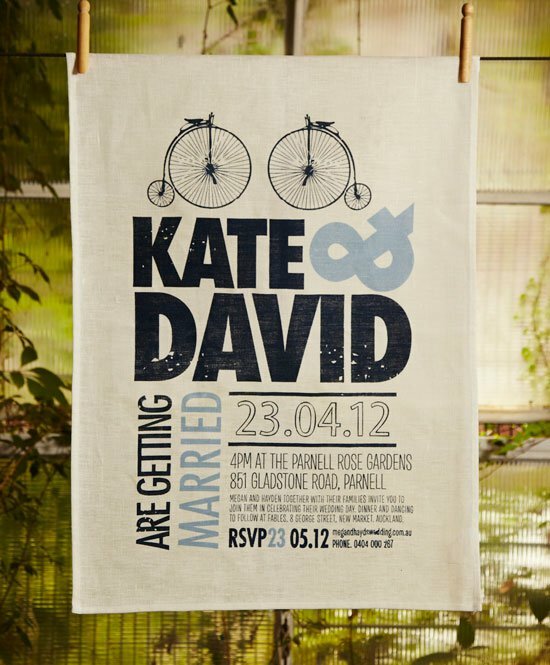 This Australian company was started by “designers and printers who love Weddings, great design, and your story.” You can choose from different very cute designs, or have a design custom-made. 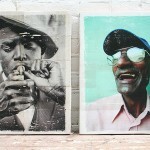 They will handprint the designs using organic waterbased inks on the fabric of your choice. 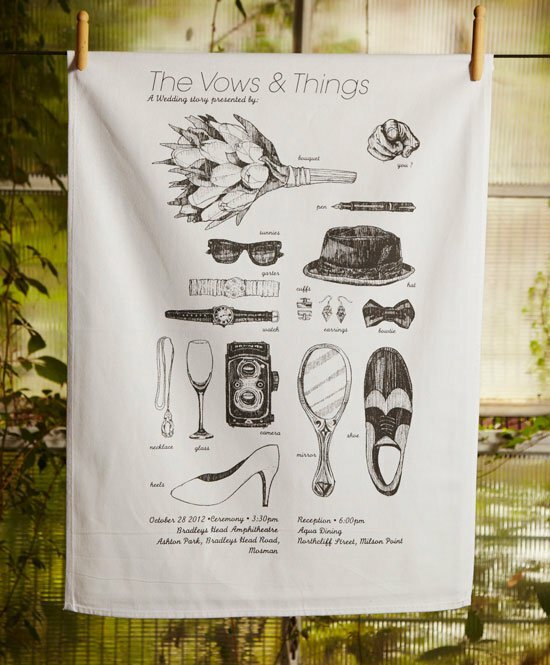 Go set the tone of your special day in style!